The awards can be entered online. You can download a step by step guide to entering the Quality Food Awards here. What products can I enter? 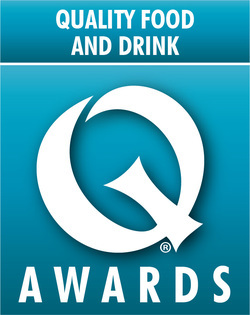 You can enter a wide range of products in to the Quality Food Awards. You can see the full list of categories here. Your product must be on sale by 22nd November, unless entered into a seasonal category, within the UK to buy (in-store or online). I'm not sure which category to enter my products? Our category criteria will help you decide where your product is best suited. Can I add further entries to my existing order? Yes you can. There will be an option after your product questions when you can add further products to your entry. There will be an option after filling out your first products questions where you can add further products to your basket. There is no limit to the number of categories you can enter. For further information, please take a look at our step-by-step entry guide here. Can I save entries in my shopping basket and return to complete payment and booking at a later date? Yes but don't forget to click on 'Save' if you don't have all the information required, to add your entry to your basket. You will then be able to go back to this point and complete your entry at a later stage. Can I enter multiple products in the same category? Yes. This year we have made the entry process more clearer and simpler to enter, by combining product categories into headline categories such as ‘Bakery’, ‘Cheese’ and ‘Meat’. Products will then be sorted and judged in their appropriate subcategories. E.g. You might want to enter a packet of Crusty rolls into the awards this year, so you would choose the ‘Bakery’ category to enter them into. When completing your entry form, you will then have the option to choose a subcategory, i.e. ‘Bread – Rolls’. Products are also judged on their individual merit rather than as a category whole so if you enter similar products into the same category, they will all still have the chance to be shortlisted and put forward for an award. What are products judged on? Products are judged on the following criteria: taste; flavour; texture; aroma; ingredients list; value for money; innovation; packaging; presentation. A successful entry will possess all these qualities. The panel judging all foodservice products entered will also be considering the target sector and benefits for chefs. What does a good entry look like? A good entry will follow the category criteria. Take a look at some of our hints and tips from our Chair of Judges here. If you are a small producer with fewer than 10 staff and annual sales under £2 million you are eligible for a reduced rate and should complete and submit the Small Producer Form before entering a category. You will be given a discount 'promo code' to use in the entry form: £125 + VAT. How are discounts applied to my order? If you have a discount voucher you will be asked to enter this on the payment page, only then will your discount will be visible. Can I change any entries once they have been submitted? Yes, simply log into your account and request for changes to be made. I have entered my products online. What are the next steps? You will receive confirmation via email as soon as your entry has been submitted, and then at a later stage, you will receive an email with details of where and when to send your products for the judging in August. You will also receive an attachment in the same email containing delivery labels to stick on to each product you have entered. Where do I send my samples for judging? Products should be sent directly to the judging venue. You will receive delivery instructions via email, which will include the date to send your products in. Results will be published on our website after the awards presentation on Friday 22nd November. Shortlisted products will be announced in September, shortly after judging has finished. Awards will be announced during the awards evening on Friday 22nd November. Can I obtain feedback notes from the judging? Yes! All products entered will receive full judge’s feedback. Due to the high number of entries we receive, these will be compiled and sent to you in the month following the awards presentation. I have won an award. Where can I get my logo? Logos will be available to download in a variety of formats on the website. A link will be sent via email the day after the awards evening.